The collection of points that defined the surface. 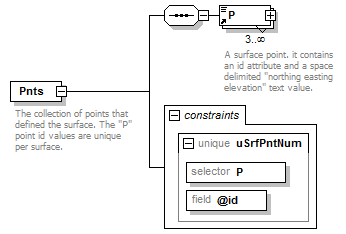 The "P" point id values are unique per surface. The id values are referenced by the surface faces and breaklines.